Parents' and carers' views of the school are very important to us and we have an annual questionnaire which helps us identify what our parents and carers like about Greenhill and what we could do better. 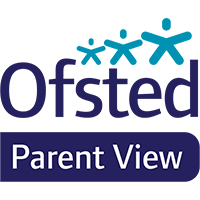 In addition, OfSted have Parent View (click here) which parents/carers can use to give their views and school can access to see them. Parent View is an online questionnaire for parents and carers to feed back on their child’s school. It’s now also the main mechanism for parents to give their views about the school to inspectors at the time of an inspection. Once a school has a sufficient number of responses from parents/carers, results will be published in percentages in easy-to-understand graphs. They can be viewed by schools, parents and carers and the general public on the Parent View website. You can access Parent View by clicking here.